"After taking care of my wife for several years I knew it was time to place her in an Alzheimer's facility. I was in shock when I was told it would cost nearly $6,000 per month. I went to the Medicaid office where they did an evaluation and then told me I would have to spend down $205,000 before she would qualify for help from Medicaid. Fortunately, a friend told me about The Financial Aid Center. In less than a week they had her qualified for Medicaid. The monthly bill went from $6,000 to $523. I will be forever grateful." or to Medicaid...you don't have to! Oregon's Medicaid Asset Protection Specialists. "Your organization, more than anyone else, really does understand Medicaid eligibility." No one looks forward to having to place a family member in a nursing home, and very few can afford the staggering cost of such care for very long. And although Oregon Medicaid can help pay for nursing home, or other long-term care, only a handful of Medicaid specialists really understand the Medicaid eligibility rules and requirements, including asset protection. You need real Medicaid experts with a 100 percent success rate. When it comes to Oregon Medicaid qualifications, and protecting assets from Medicaid, we are the experts. You need to understand that Medicaid qualification (including asset protection) is a financial issue, not a legal issue. As Medicaid financial experts, we specialize in helping families properly arrange their finances to meet nursing home eligibility guidelines for the Oregon Medicaid Program when a family member requires long-term care (also includes assisted living, Alzheimer's care, adult foster care or in-home care). That means you have the Oregon Medicaid eligibility specialists on your side -- people who truly understand Medicaid qualification and can go toe-to-toe with the local Medicaid office, if needed. When it comes to Medicaid asset protection, this is no place for amateurs. Get the best nursing home (or other) care possible with the least out-of-pocket expense. 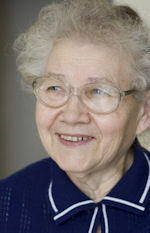 Qualify for Oregon's Nursing Home, Community-based Care, or In-home Care Program. Implement an asset protection plan to minimize (or often eliminate entirely) the spending down of your assets. With guidance in establishing an estate plan to eliminate or minimize Medicaid estate recovery. Why Spend Down Assets When You Don't Have To? The Oregon Medicaid rules and regulations are complicated and constantly changing, but we can put in place the proven money-saving tactics and strategies that will enable your family member to qualify for Medicaid benefits without having to first spend down substantial portions of family assets. Both the Federal and the Oregon Medicaid laws and rules are complicated, and constantly changing, making it virtually impossible for most people to make the right financial decisions regarding a family member's Medicaid eligibility. In fact, seemingly simple and benign actions taken by Oregon families can often result in long-term disqualification from benefits, unnecessary exposure to Medicaid estate recovery, or other costly consequences. We understand and deal with these issues every day. Let us plan, organize and qualify the patient for Oregon Medicaid today! There is absolutely no cost or obligation to have one of our experienced Medicaid asset protection specialist review your situation and tell you exactly how much you could save. Give us a call today (or click on the CAN I QUALIFY button to the left) and find out more about how to protect your savings and other assets from Medicaid. You’re married ... your spouse is in the nursing home at $8,000 per month ... NOW WHAT??? Well, the first thing we would tell you is that this is no place for amateurs. Over the last two decades of helping folks qualify for Oregon Medicaid we’ve seen countless families needlessly lose tens, or even hundreds of thousands of dollars due to bad Medicaid advice. Look, you don’t need another attorney. You don’t need another financial planner. You don’t need another accountant. What you need are proven Oregon Medicaid experts who live in the trenches, fight the battles, and have a 100 percent success rate. We are those experts. And it doesn’t matter if you have a widowed mother who’s going into assisted living, but has a home and some money to protect, or even if you’ve already been to the Medicaid office and been told that you’ll have to SPEND DOWN hundreds of thousands of dollars before you can get Medicaid benefits for your spouse. We have the solutions. We are the founders of the Financial Aid Center for Long Term Care, located in Grants Pass, Oregon. And what you need to understand is that you really don’t have to give all the assets to the nursing home or to Medicaid - at least not if we’re involved. So let’s cut straight to the chase, shall we? At this point you really have only two choices. You can continue to listen to all the garbage you’ve been told about Medicaid, and just watch the money go down the drain, or you can start getting real answers to some really tough questions. For nearly two decades now, we’ve been helping families save and protect assets from Medicaid. We understand how Oregon Medicaid qualification and asset protection really work, and we can show you everything you need to know. In fact, over the years, we’ve helped hundreds of Oregon families protect millions of dollars in assets from Medicaid. So, if you’re like most people, the very first thing you need to do is to forget just about everything you’ve been told about protecting assets from Medicaid. For example, if you go to the local Oregon Medicaid office, and tell the worker that your loved one is in a nursing home, but that there are still assets to protect, and ask what you can do, well, we can almost guarantee you that the nice lady will tell you that the only choice you have is to spend down the money on care until it’s down to their limit, and then come back and they’ll see about putting him or her on Medicaid. Well, that’s one option, and certainly the one that Medicaid hopes you follow. But it’s not the only option. Our job, as we see it, is to make sure you keep every last dime you’re entitled to. So, how much of the assets can you expect to protect from Oregon Medicaid? That depends on your specific circumstances. If we’re talking about a married couple we can usually protect 90 to 100 percent of the assets. In situations where the patient is single, we can usually protect anywhere from 50 to 100 percent, again, depending on your particular circumstances. But it’s certainly easy enough to find out what we can do for you. Just click on the CAN I QUALIFY button at the left of your screen, provide the information requested, and in short order, at no cost or obligation to you, a qualified Oregon Medicaid expert will be back in touch to explain exactly what can be accomplished. The answer to the question: "NOW WHAT?" is only a few clicks or a phone call away … and I can assure you that you’ll be amazed! With a lifetime’s worth of assets on the line, you really owe it to yourself and your family to find out how good we really are.